AV-Network was originally founded in 1996 as the Internet’s first non-profit bandwidth cooperative. 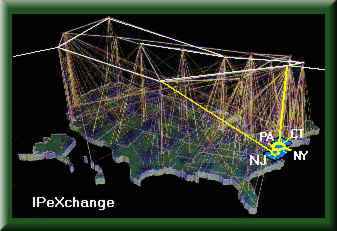 For those of you that remember dial-up modems, AVnet provided over a dozen mom and pop ISPs in New Jersey full T-1 service at less than half the cost of Sprint or UUnet. Founder and videographer Jay Treble envisioned the Internet to eventually be fast enough to handle video. Now the domain has been re-purposed once again featuring tech savvy pilots and entrepreneurs – some of them providing real-time video over a much faster web. Currently AV-Network is providing authentication of FAA certification and liability insurance to help Realtors and other organizations find professional, legal and insured UAV operators. If you or your company is not on the list please send us a copy of your FAA “333” exemption and insurance certificate. Currently we are only accepting companies or individuals that have a minimum of one million Dollars in liability insurance and the FAA exemption.